The discussion on the ‘dust’ theory of ice age termination at Judith Curry brought a couple of other interesting papers to light. This has started me thinking again about how recent deep glaciations terminate. Such glacial cycles apparently now only terminate when the ice sheets reaches a critical size, especially at low eccentricity. Why? Ralf Ellis proposed the build up of dust on the ice sheets due to falling CO2 and arid desert conditions reduces albedo sufficiently for the next 65N insolation maximum to trigger an interglacial. However there are other proposals. In summary, our model results suggest that the 100-kyr cycle is essentially produced by the eccentricity modulation of precession amplitude through the changes in summer insolation , with the support of obliquity for glacial terminations, especially when eccentricity remains small after its minimum (for example at termination I 20–10 kyr BP and at termination IV 340–330 kyr BP). A remarkable conclusion from our model results is therefore that the 100-kyr glacial cycle exists only because of the unique geographic and climatological setting of the North American ice sheet with respect to received insolation. Only for the North American ice sheet is the upper hysteresis branch moderately inclined; that is, there is a gradual change between large and small equilibrium ice-sheet volumes over a large range of insolation forcings. For this reason, as demonstrated in Fig. 2b, the amplitude modulation of summer insolation variation in the precessional cycle, due primarily to eccentricity, is able to generate the 100-kyr cycles with large amplitude, gradual growth and rapid terminations. They use a simplified climate model with an ice sheet model which can reproduce 100 ky sawtooth cycles. This result is independent of CO2 levels, dust albedo etc. all of which are considered feedbacks. The root ’cause’ of this hysteresis effect is the slow isostatic rebound of ice free land. By contrast, the spectral peak of ,100-kyr cycles is greatly reduced, and permanent large ice sheets remain, with the imposition of instantaneous isostatic rebound (Fig. 1f). This result supports the idea that the crucial mechanism for the ,100-kyr cycles is the delayed glacial isostatic rebound14,15, which keeps the ice elevation low, and, therefore, the ice ablation high, while the ice sheet retreats. So their key physical explanation for hysteresis is deep glacial land compression with slow rebound. The next paper tries to explain why glacial cycles transitioned from being obliquity driven to longer cycles. 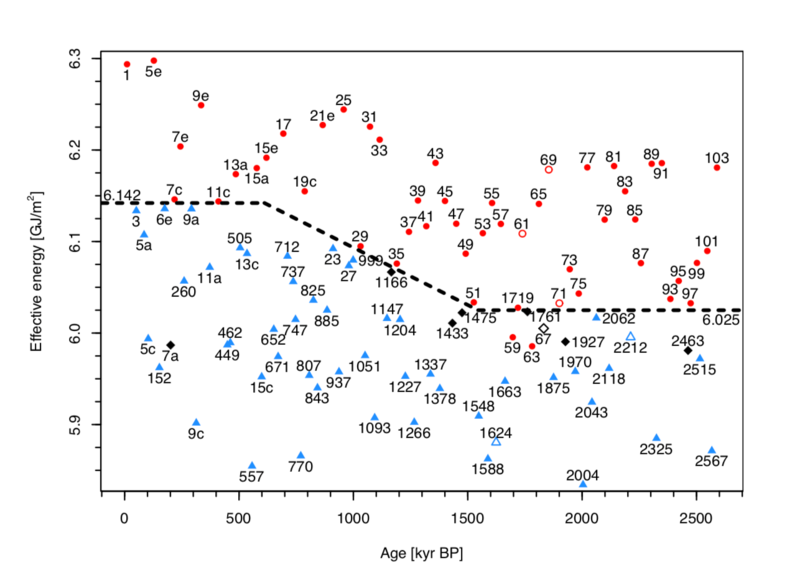 Here we show that before one million years ago interglacials occurred when the energy related to summer insolation exceeded a simple threshold, about every 41,000 years. Over the past one million years, fewer of these insolation peaks resulted in deglaciation (that is, more insolation peaks were ‘skipped, implying that the energy threshold for deglaciation had risen, which lead to longer glacials. 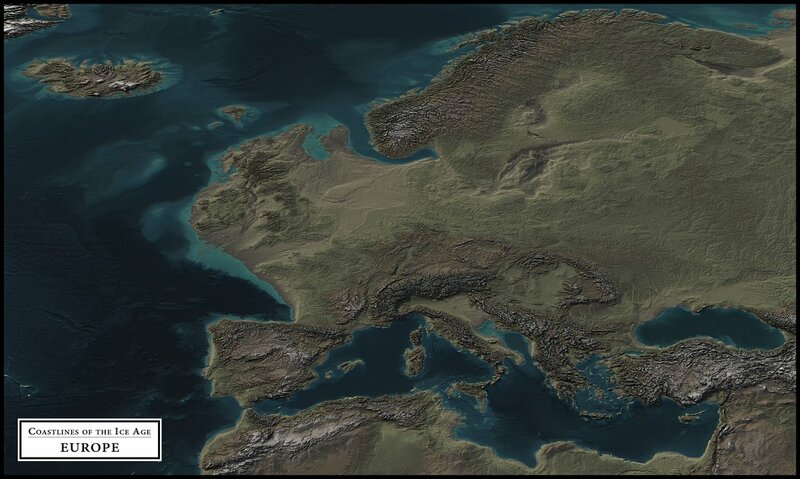 However, as a glacial lengthens, the energy needed for deglaciation decreases. 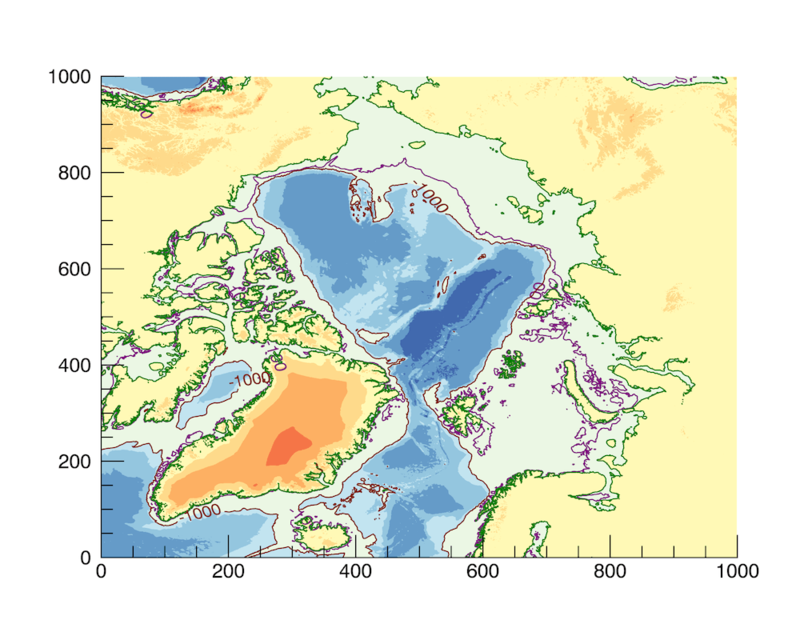 A statistical model that combines these observations correctly predicts every complete deglaciation of the past million years and shows that the sequence of interglacials that has occurred is one of a small set of possibilities. Their model is based on ‘caloric summer insolation’ or the total solar energy energy received at 65N in summer months, which must exceed a threshold value for deglaciation to start. This threshold value changed ~l million years ago as the world cooled, to become a function of elapsed time t. They define an effective energy E as I +bt and this can ‘explain’ (nearly) all interglacials for the last 2.6M years. However, the paper does not really explain why the model works, so it is more of a statistical fit rather than a physical explanation for Ice age termination. Secondly, ocean circulation is dramatically changed once levels fall below 100m. For example there is now just one narrow channel entrance from the Atlantic to the Arctic. Tidal mixing also becomes stronger and is amplified by obliquity. Overall the world has been cooling for the last 5 million years from a climate where sea-levels were on average 20 meters higher than now. We can see this simply by inverting the LR04 ice volume data and then calibrated it to match the LGM. 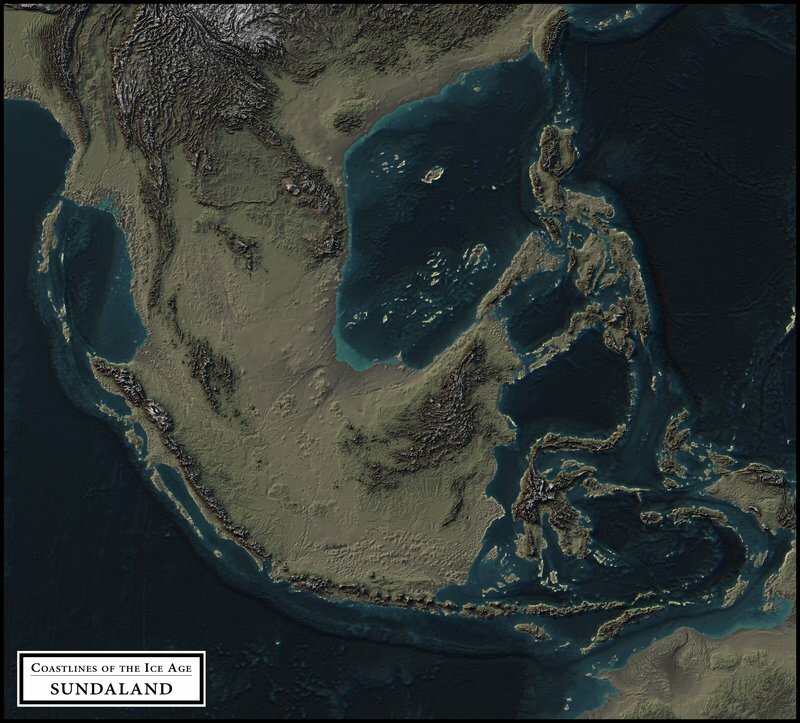 The threshold between the 41k world and the 100k world now appears as a minimum in sea-level rather than a maximum in ice cover, which makes more sense to me. A greater expanse of exposed land surface during a NH summer maximum leads to more absorbed energy near ice sheets and faster melting. Dust on the ice sheets then aids the melt back by increasing albedo. We need a model to determine which picture fits best!